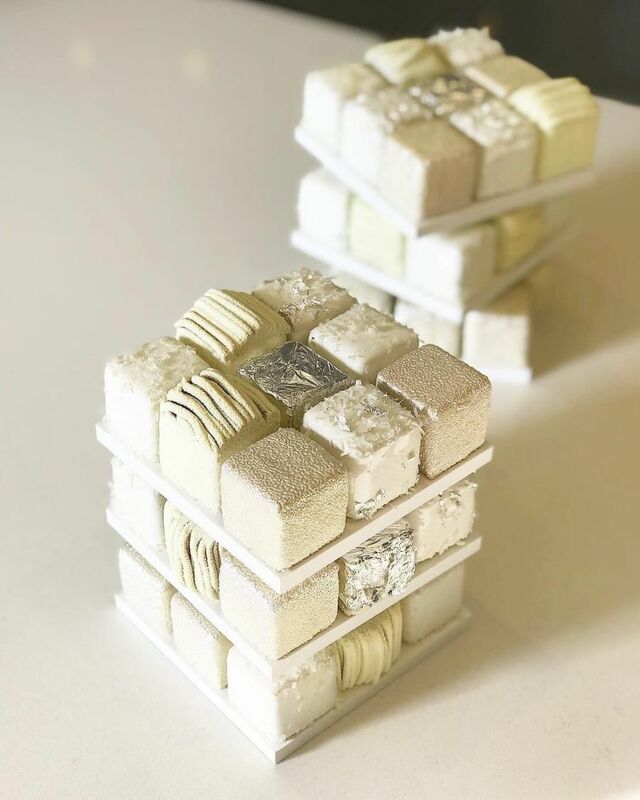 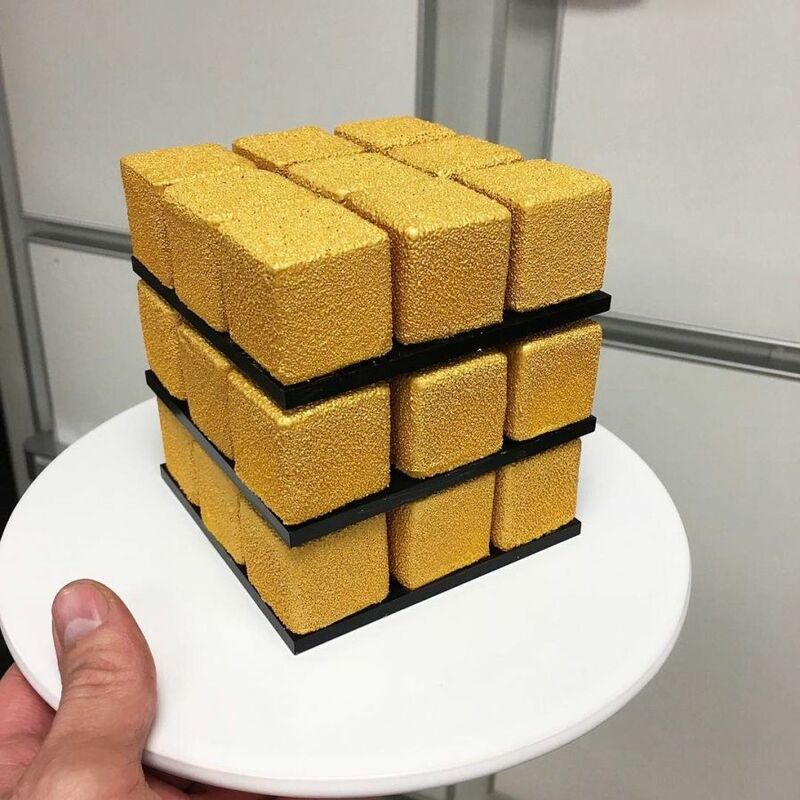 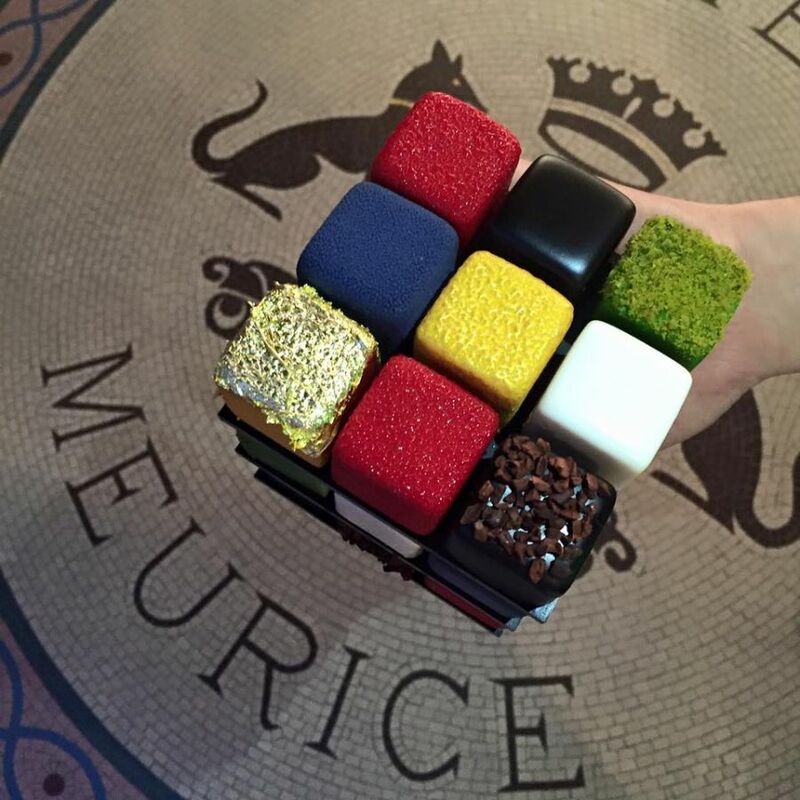 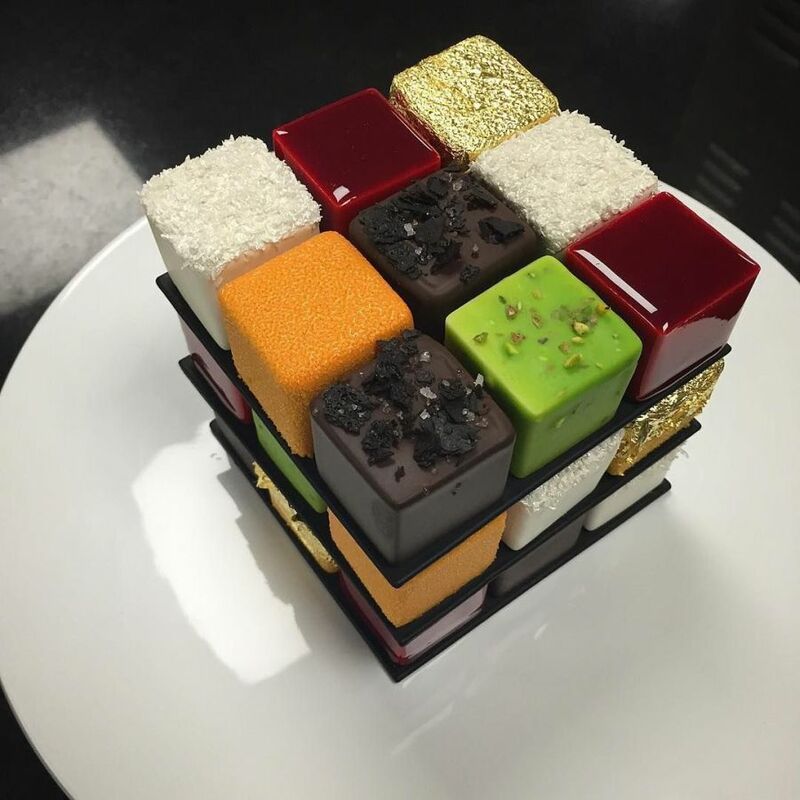 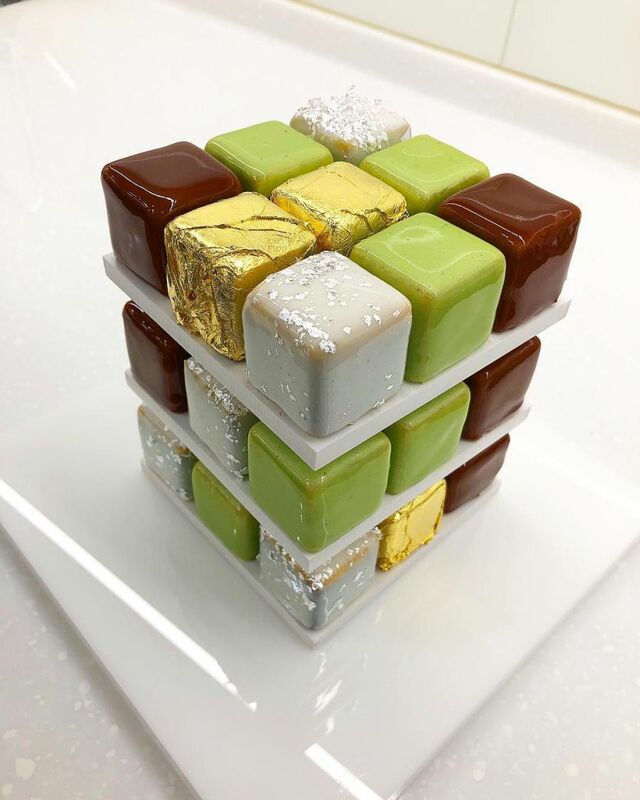 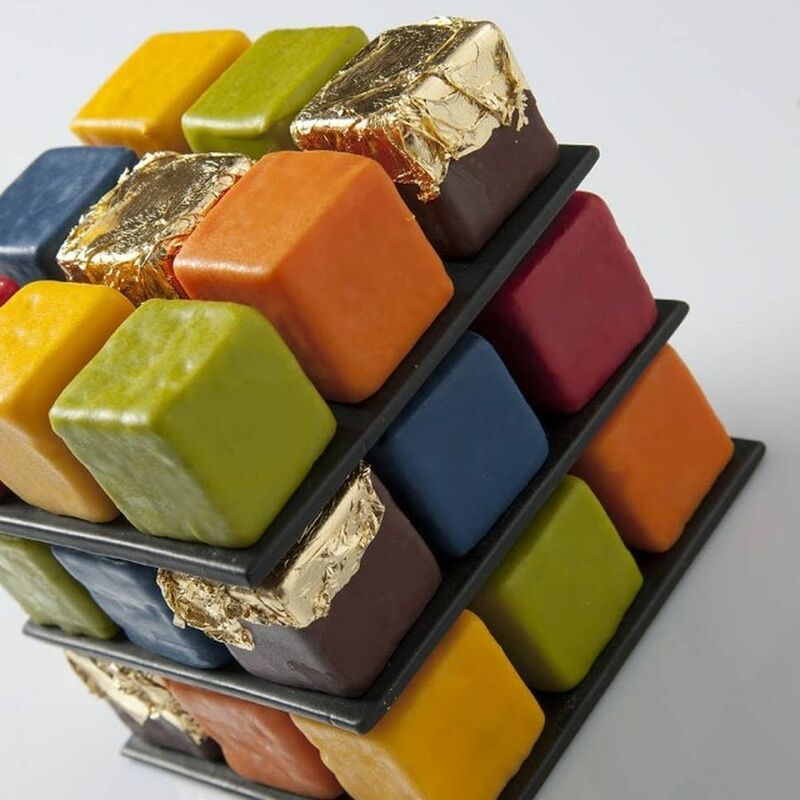 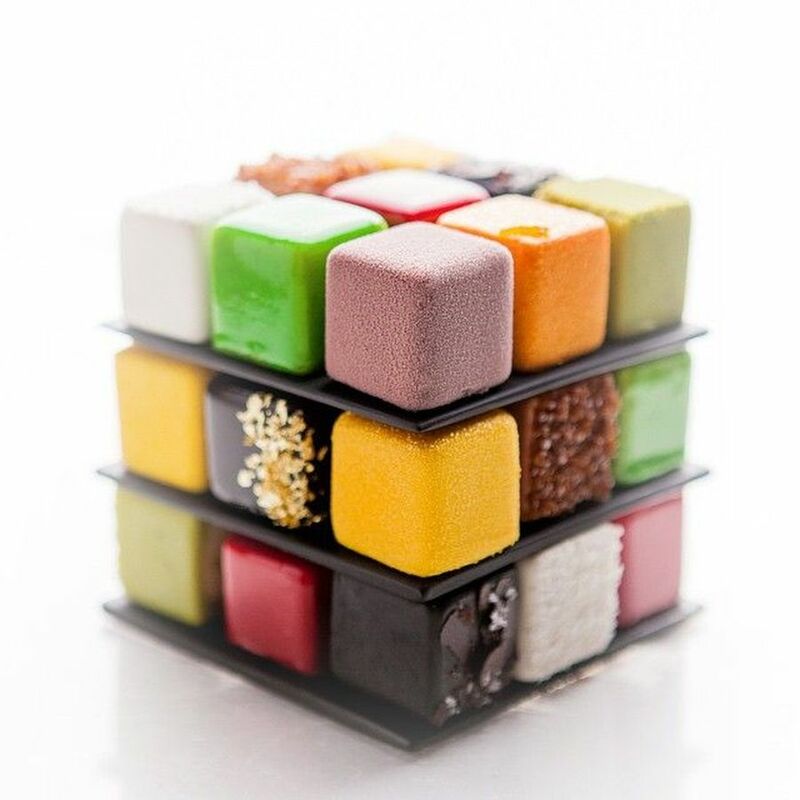 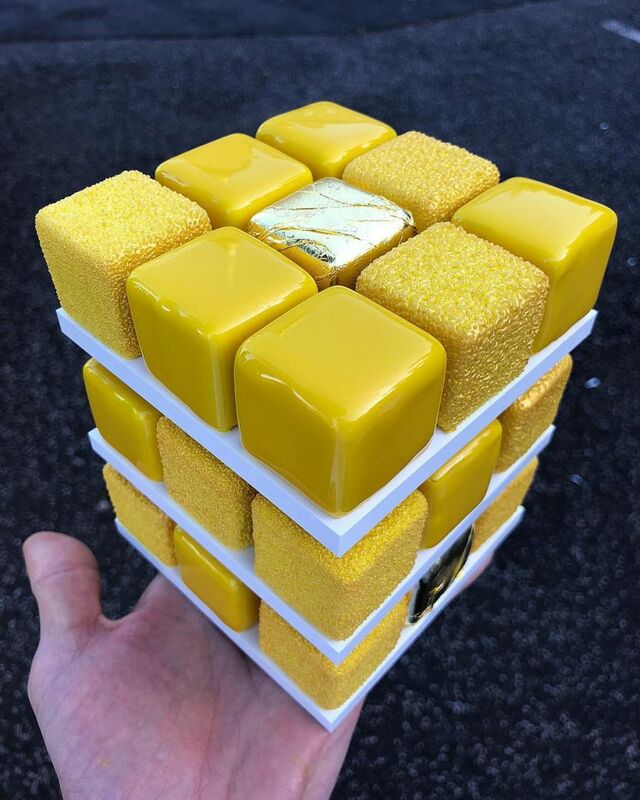 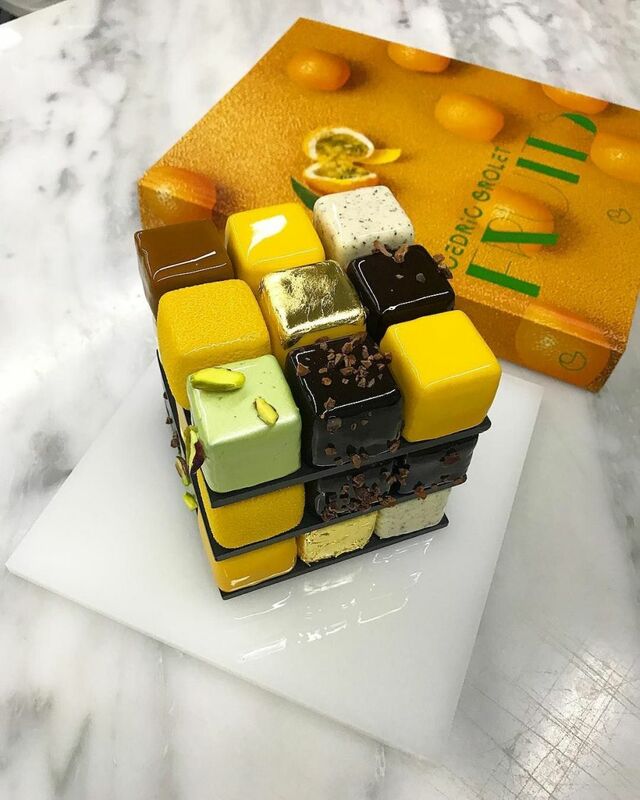 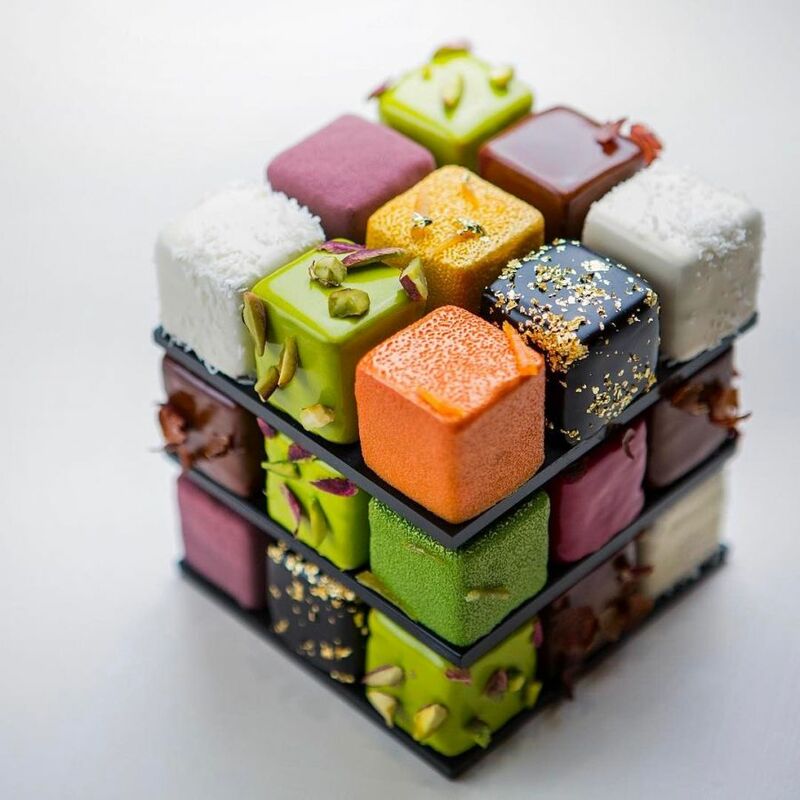 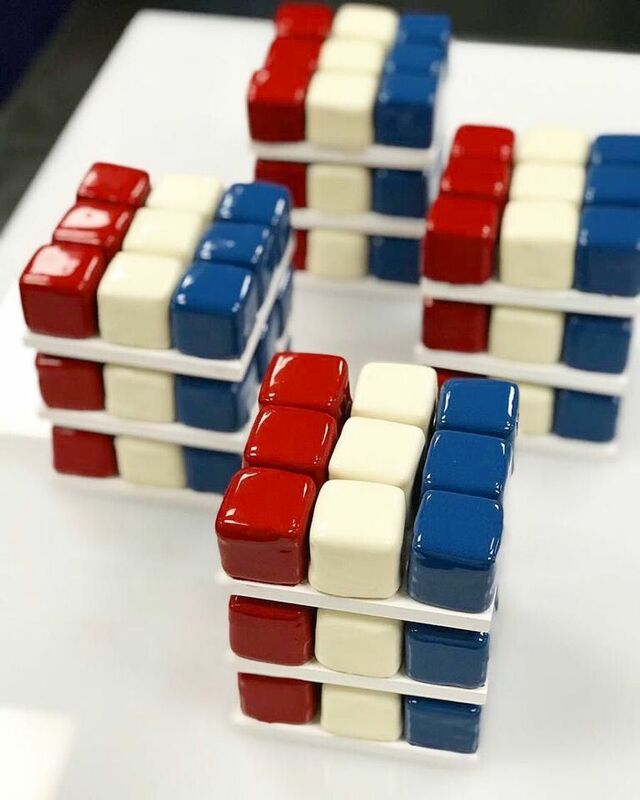 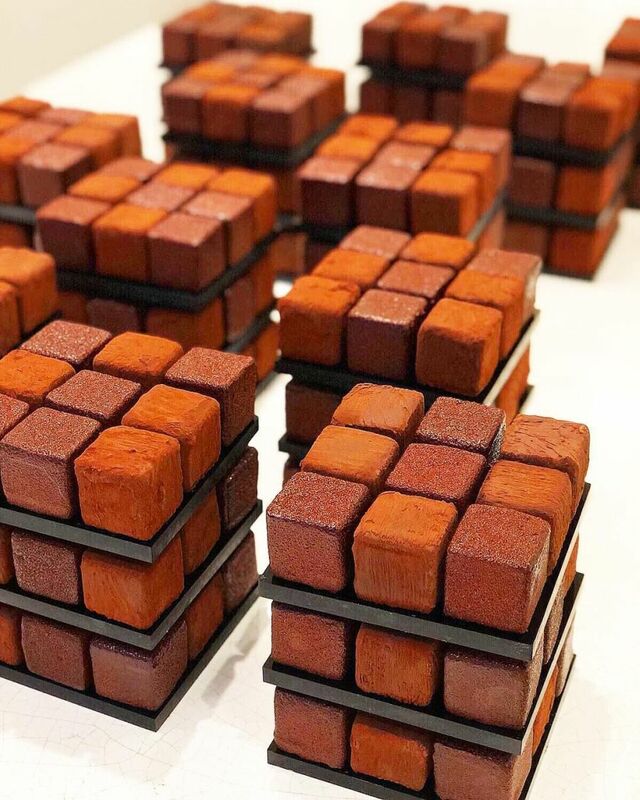 If you’re looking to take your cake to the next level with unusual shapes, alternating interior colors, surprise contents or fun and original themes, these fancy Rubik’s cube cakes created by renowned French pastry chef Cedric Grolet can serve you as inspiration. 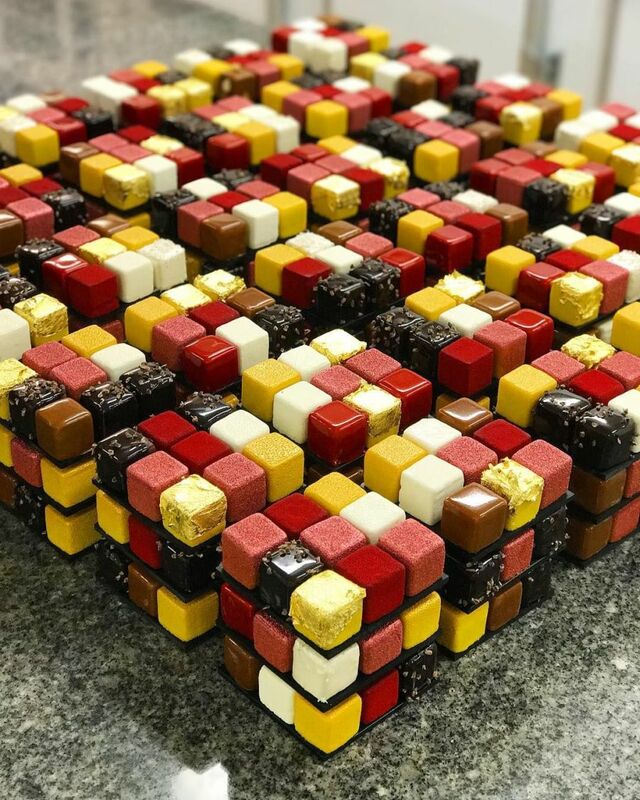 The Rubik’s cube is close to my heart as I am a child of the eighties, and it always brings me back to a time of joy and wonder. 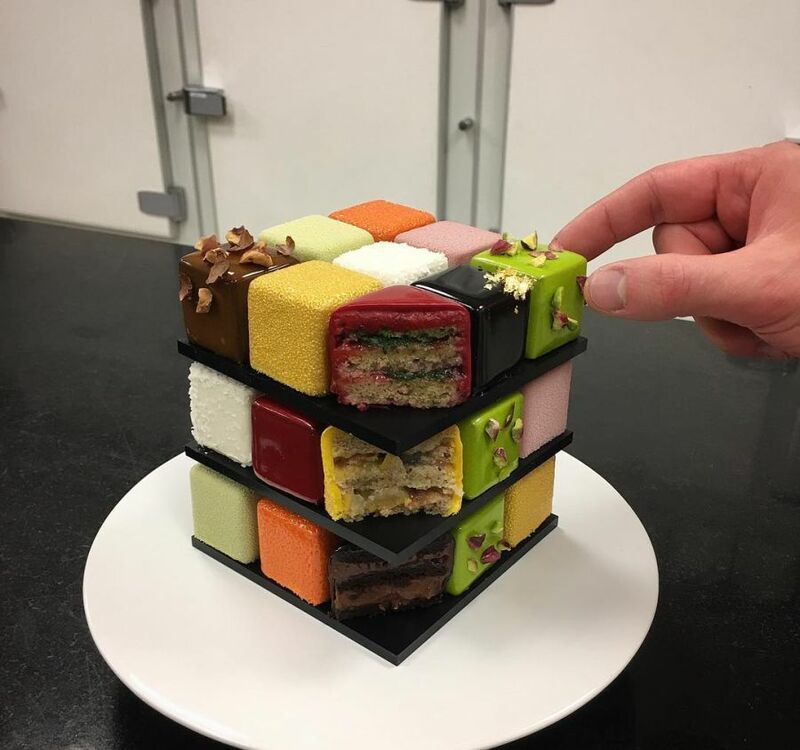 Surely this colorful cube deserved to be immortalized in the most satisfying medium possible: cake. 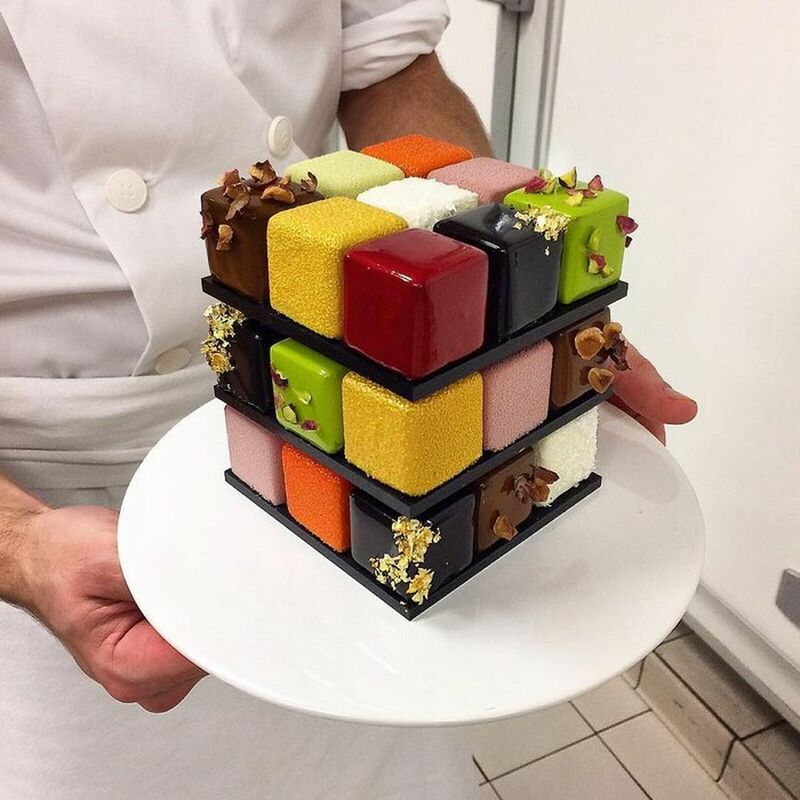 Who better to do this than Cédric Grolet, a wizard of sugar-based delights who’s according to the Relais Desserts association, was the best pastry chef in 2016? 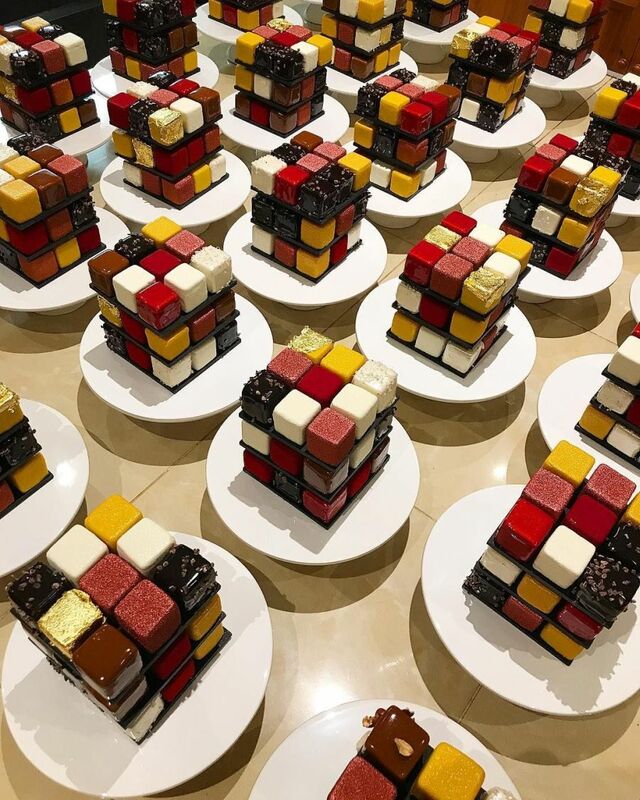 While he is renowned for his cakes and pastries that are predominantly inspired by flowers and fruit, Grolet has recently adopted a playful new muse and created this wonderful series of Rubik’s cube cakes for the Le Dalí cafe in Paris. 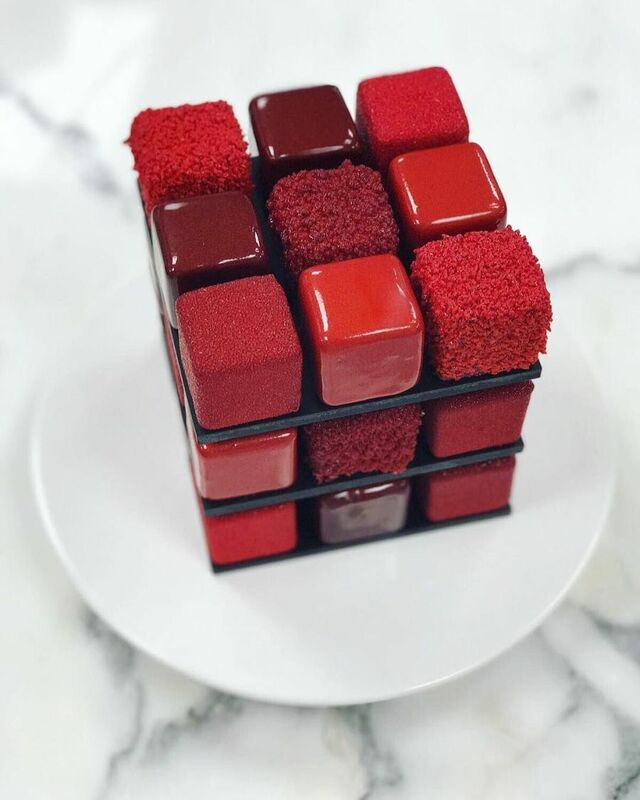 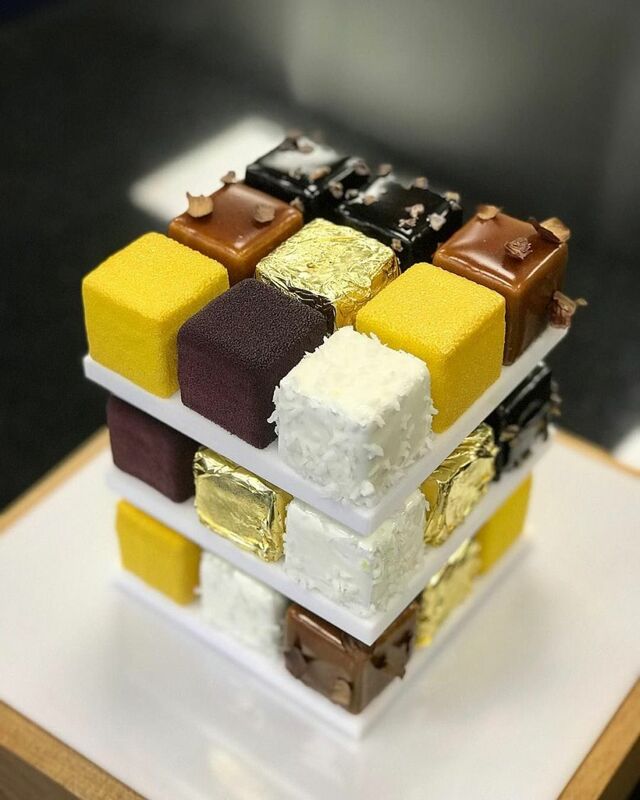 Calling it the dessert with unlimited flavors, Cédric has made these cakes over the past few years in a variety of different flavors and colors. 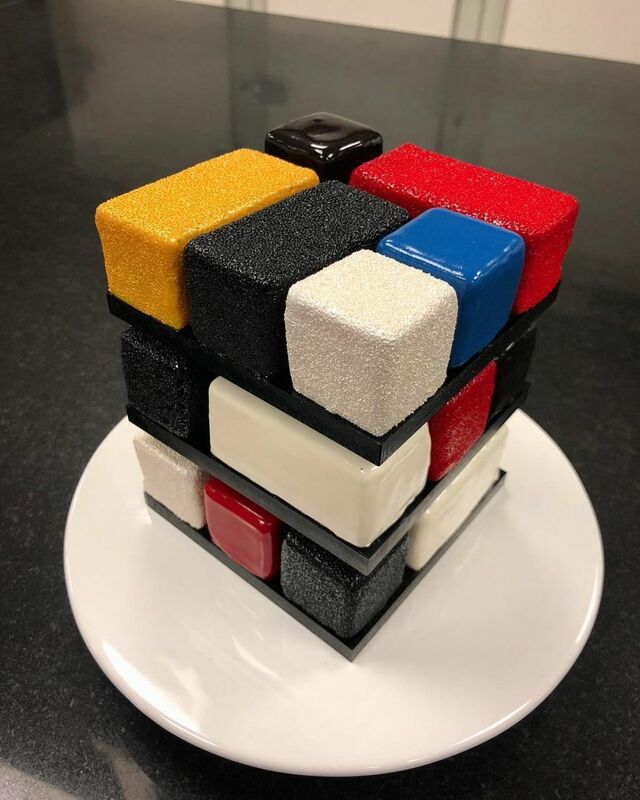 Although the chef pâtissier has foregone the toy’s palette of primary colors and opted instead for more elegant color schemes, he has remained truly faithful to the distinctive geometric design. 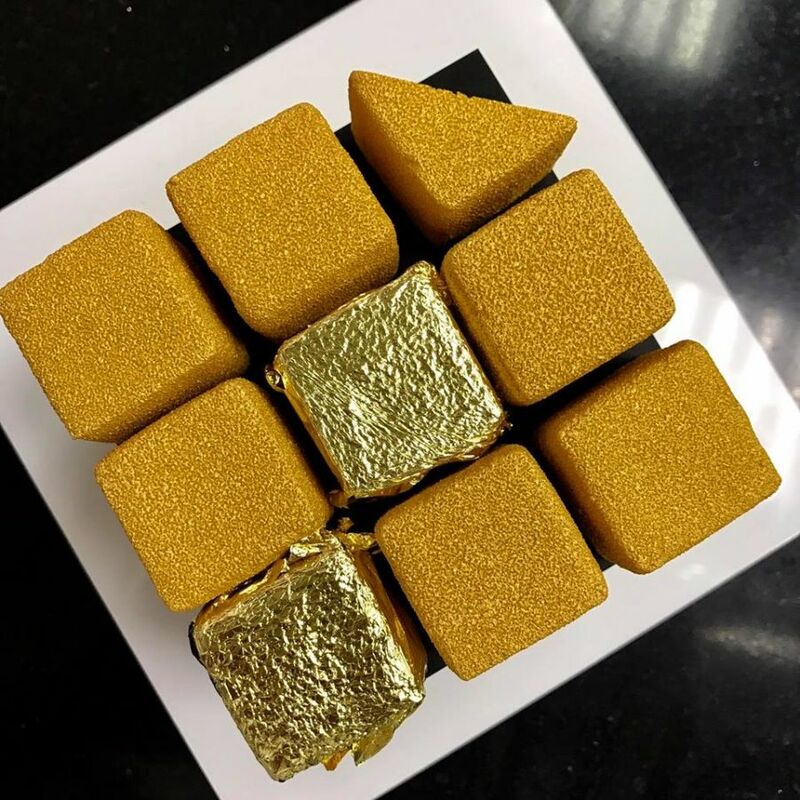 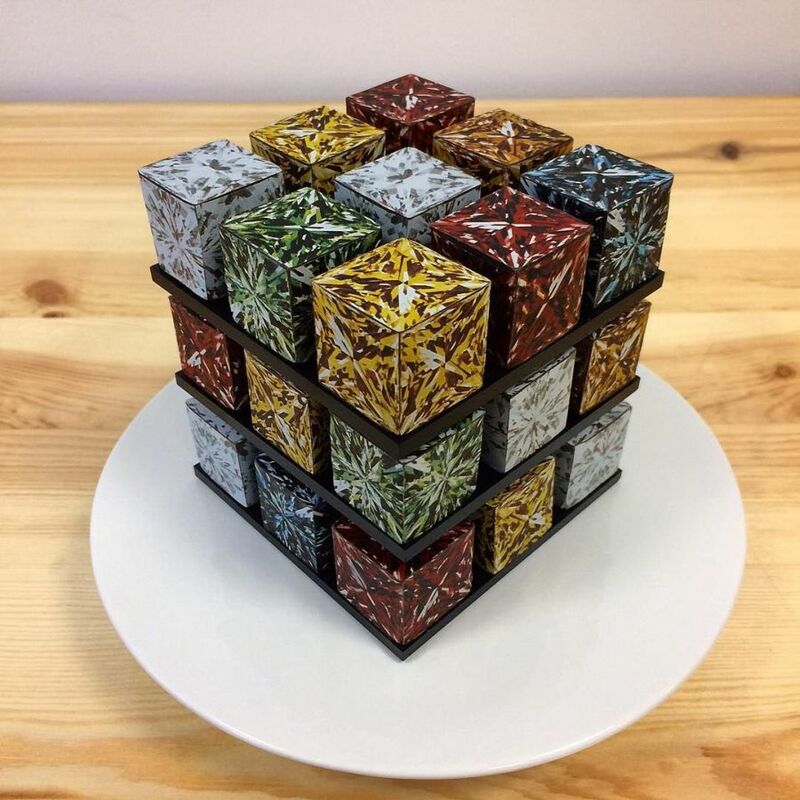 A sophisticated twist on the handheld puzzle, Grolet’s cake is actually cube-shaped assortment of 27 individual pastries with different textures and flavors in one eye-catching creation. 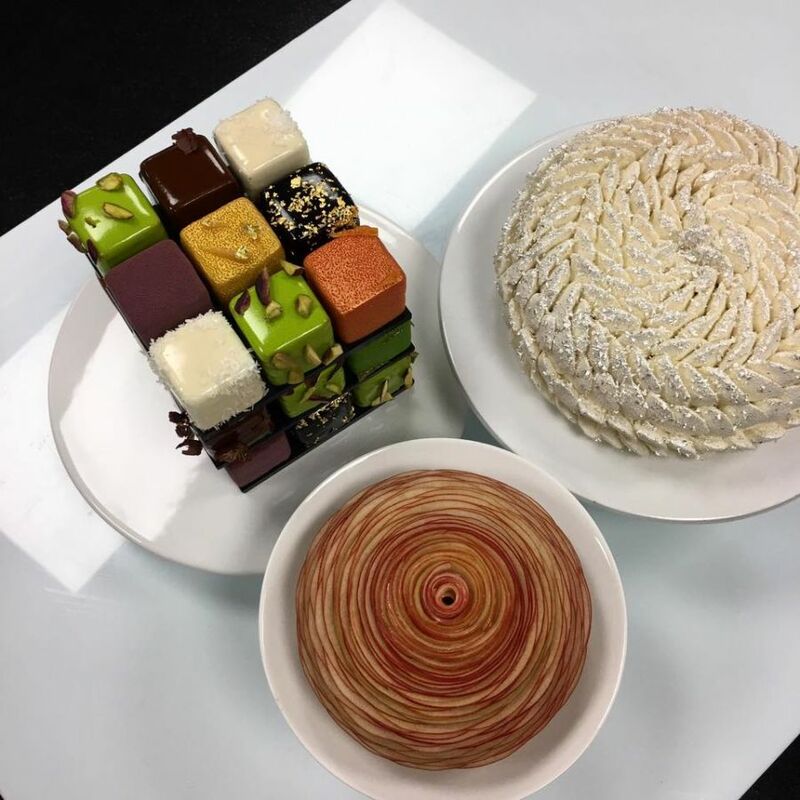 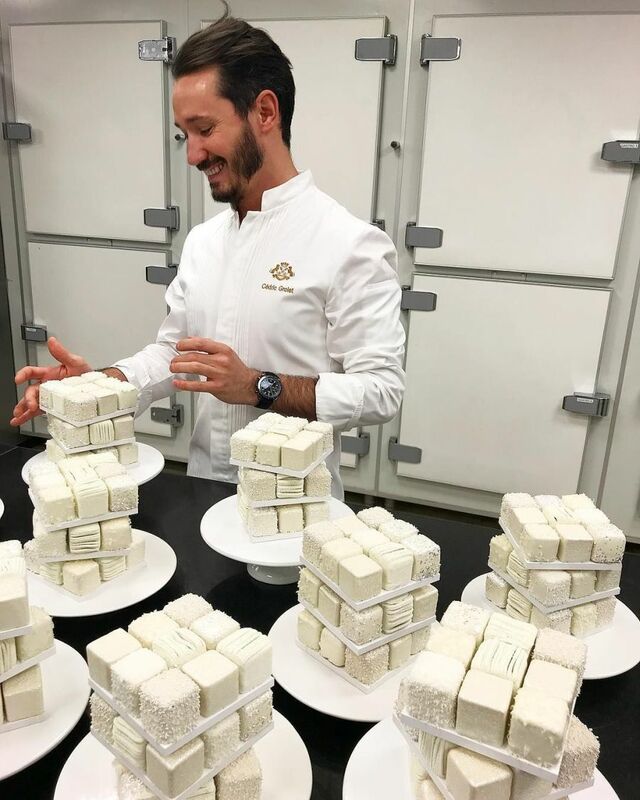 As a testament to Cédric’s creativity and his experimental approach to traditional baking, the treats boast avant-garde flavor pairings like apricot and rosemary and cherry and tarragon. 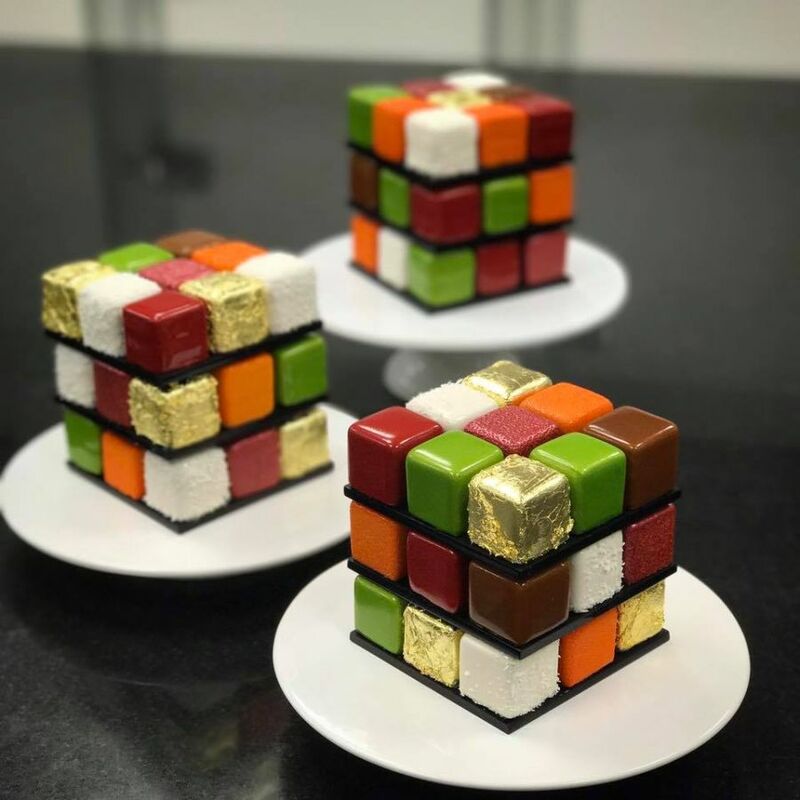 As you’re about to see below, Grolet’s Rubik’s cube cakes are true works of culinary art, perfect for sharing (although I could definitely eat one alone  ). 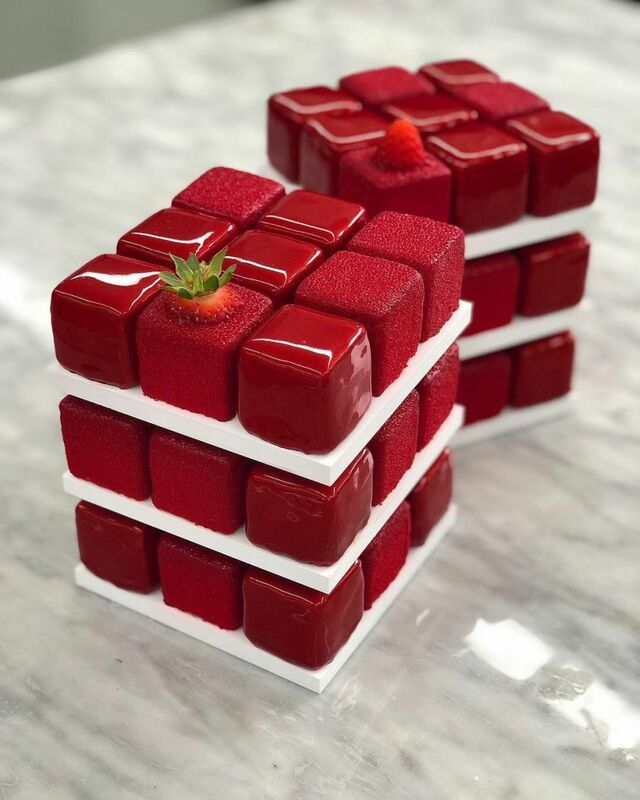 You can see more mouthwatering photos of other desserts that the chef creates for the restaurant on his Facebook and Instagram pages. 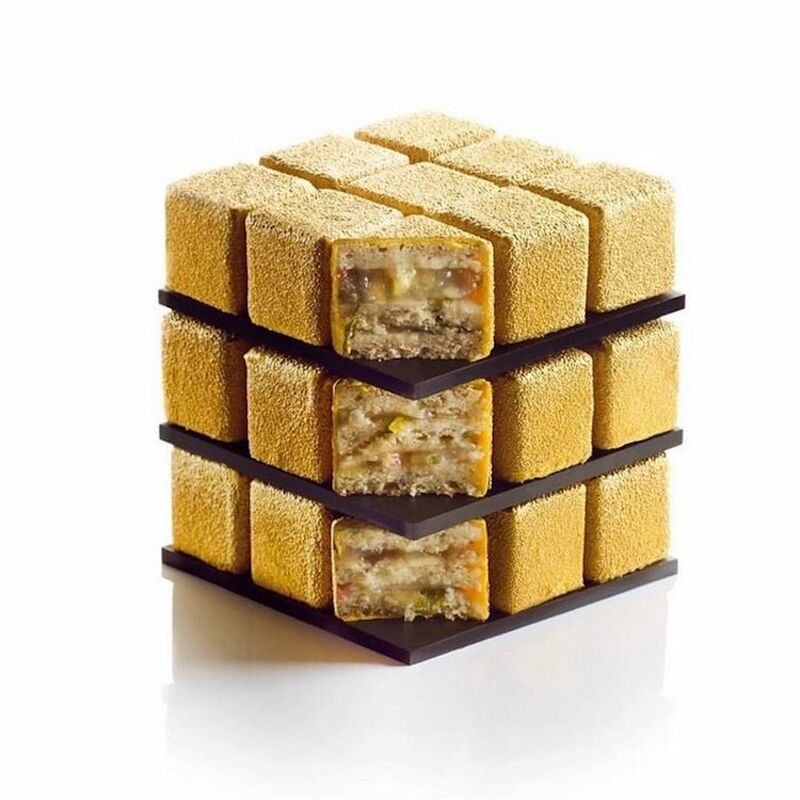 And, if you happen to be in Paris, you can soothe your sweet tooth with a visit to Le Dalí!